Box Dimensions (LxWxH) 5.1 x 2.8 x 2.4"
Adapter for T2 Mount Lenses to Fujifilm X Mount Digital Cameras is rated 5.0 out of 5 by 2. Rated 5 out of 5 by Big Jilm from Works great! 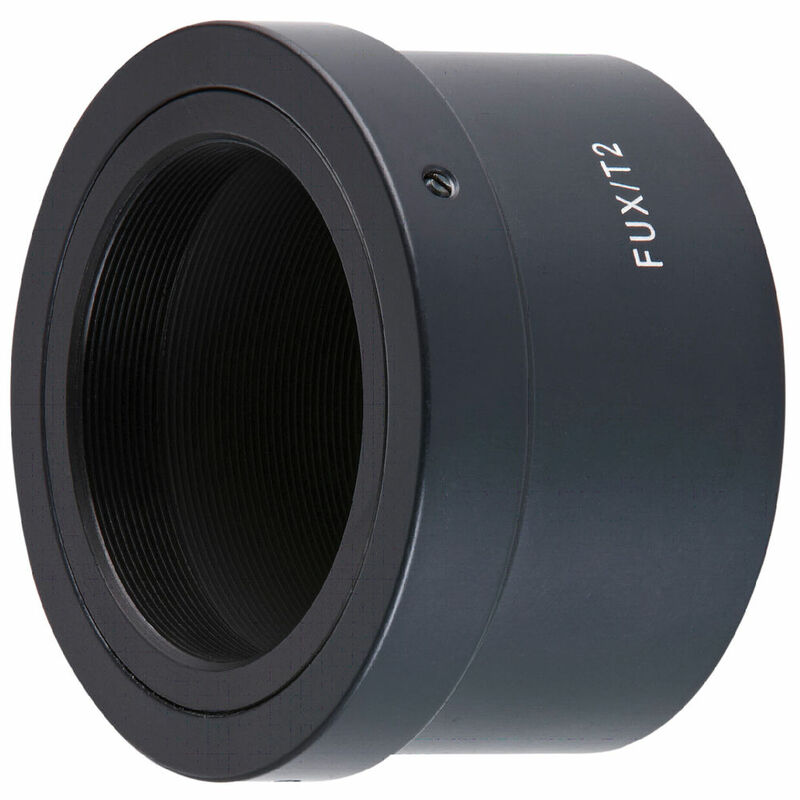 I'm using this adapter to attach my Fuji XE-1 to a Swarovski TLS-APO adapter for a Swaro ATX spotting scope for digiscoping. This adapter provides a secure and effortless connection that works great with the Fuji. Rated 5 out of 5 by MikeP from Just what I needed Perfect fit between Fuji X-T1 and Swarovski TLS APO adaptor for digiscoping. Swarovski only offers T2 adapters for Sony, Micro 4/3, Canon and Nikon so this was just what I needed. Yes, this adapter fits on the X-T1 camera. I used it to mount my XT1 to a spotting scope (swarovski). It works well enough but I'm not terribly pleased with the quality of the pictures while digiscoping. I think I have to play around with my camera settings some more. What adapter will work best for digiscoping with my Fugifilm xt-1 and Kowa TSN-773?